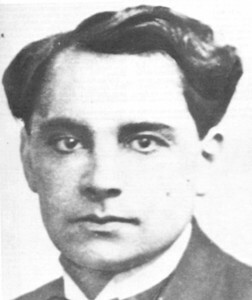 Dr Marcel Petiot as a young family doctor. When Dr Marcel Petiot (see my book Die in Paris) was guillotined on Saturday, May 25, 1945, he had a scar on his left foot. Always was this man – France’s most prolific serial killer – proud of the scar. He showed it to those he told the story of his Great War experience. Of how he was a Bearded One during WW1 having bravely fought for France. November 11, France – and indeed the world – commemorate the 100th anniversary of the end of WW1 (the Great War). Always a solemn day of remembrance in France, joining France’s President Macron will be Russia’s Putin and the States’ Trump and scores of other heads-of-state and heads-of-government. Since I’ve become interested in Dr Marcel Petiot and wrote the book Die in Paris, November 11, because I know someone who had fought in this war, has become something of a day of contemplation for me too. By ‘know’ I mean that I got to know Dr Petiot well writing about him: I believe I know him better than any other living human being does. Maybe his grandson in Brazil thinks he does, but I am not blinkered when it comes to Dr Petiot’s life and crimes. Petiot, born Marcel André Henri Félix, at 3 a.m. on Sunday, January 17, 1897, was therefore 17 years old on the outbreak of the Great War in 1914. Too young by one year to be mobilised, he, having passed his baccalauréat school-leaving examination with flying colours, was impatient to go fight his country’s enemy – the Germans . He wanted to become a physician, but he thought that medical studies could wait until such time that the war was over – won, France the victors and the Germans the defeated. He spent the days reading in the garden of the house in Auxerre of the two women who was raising him. I will now quote from Die in Paris. For six months Marcel read and waited for his call-up papers. Finally, tired of waiting, he enlisted. On Tuesday, January 11, 1916, six days short of his nineteenth birthday, he reported for duty at the army training camp in the town of Sens, 58 kilometres north of Auxerre and 116 kilometres south-east of Paris. In those later years when he spoke about his childhood, he would also make sure that everyone knew that he had volunteered and that he had not waited to be mobilised like some coward. His enlistment number was ‘1097’, he said. Believing it would advance his chances of getting into medical faculty later, he had requested to be inducted to a medical corps. Ten months later, on Tuesday, November 16, fully trained, he heard that he was to be an ordinary soldier of the trenches. He joined the 89th Infantry Regiment, also based in Sens. In April 1917, on Monday 16, fifteen months in the army, Private Petiot saw his first great battle. He marched with his regiment to liberate the Chemin des Dames— the Ladies’ Road— that was being held by the Germans. The road, twenty kilometres long and running along a rugged ridge between the rivers Aisne and Ailette, had been held by the Germans since the outbreak of war in 1914. He was one of a million Poilus – Bearded Ones -to go into battle under the command of General Charles Mangin. His regiment focussed on the Germans entrenched around the town of Craonne. On the first day of the offensive, the Nivelle Offensive, named after General Robert Nivelle, Commander of the French army, 40,000 Bearded Ones were killed or wounded. The final casualty figure stood at one hundred and eighty-seven thousand. Another 350 Allied soldiers were also listed as casualties. Craonne was destroyed. Marcel was a casualty too. The story that he would tell was that he had taken a direct hit in his left foot from a German shell. He said that wounded and in great pain he was carried by stretcher to a field hospital where his wound – it was ten centimetres in diameter- was dressed. He was given a strong sedative that plunged him into a deep sleep. When he awoke several hours later, he thought that he had died because all he could see were tombstones; the wounded had been evacuated to a nearby cemetery. At nightfall, still in great pain, he was moved to a church. He spent the night on its floor. The following morning he was transported to a hospital in the town of Orléans, 295 kilometres south. He gave the date on which he was wounded: Sunday, May 20, 1917. The Nivelle Offensive had ended on Wednesday, May 9, 1917. No one noticed the discrepancy. Petiot would, but for a brief period, spend the rest of his active service either in a hospital or a mental institution. In the hospital in Orléons, Marcel lay in a large ward lined with beds on which lay other war wounded. All were young men. Some were blind. Others had lost limbs or were covered in bandages from which seeped blood and pus. Compared to such suffering his wound seemed trivial to all, but him. It healed and he was told that he was to return to his regiment. He told the nurses that he could not wait to get back to the front. A few hours later he called a nurse to his bed. He told her that he had a fierce headache and violent pains in his chest. He was told he would not after all be able to rejoin his regiment. He seemed heartbroken at the news. In the days that followed, nurses reported to the doctors that Private Petiot was not well. They said they had noticed that he jumped at sudden noise, fainted often, had violent and unprovoked outbursts and that he slipped easily from a state of euphoria into one of inertia when he lay on his bed, rubbing his hands together. The doctors diagnosed war neurosis – shell shock – and gas poisoning; the patient would have to be transferred to another medical institution. Marcel, told what medical institution the doctors had in mind, flew into a rage. He was to be transferred to the town’s mental asylum. He calmed down only when the doctors explained that no one thought he was mad, but that it was routine procedure to institutionalise shell shock victims. Yes, those soldiers suffering from shell shock were thought mad and institutionalised. On Friday, July 4, 1919, the war over since November 11, 1918, and Germany indeed defeated, Petiot’s military career ended. It had begun 42 months earlier. For most of those months he had been either in hospital or in a mental asylum. And there had been two weeks in a military prison for theft. He was discharged with a disability pension. For the rest of his life he drew that disability pension, because in 1923 a team of psychiatrists appointed by the French army had assessed his mental state and diagnosed him as suffering from dementia praecox – premature senility- and fatigue, lack of interest in life, indifference to the future, inactivity, and coveting solitude. A previous team of psychiatrists had already diagnosed him as suffering from a pronounced depression with melancholy, inertia, hyper-emotionalism, memory loss and crying bouts and added that he suffered from epileptic seizures which had badly scarred his tongue because of biting it during seizures. Such mental problems were not however a hindrance to him passing himself off as a physician after the war, first to his family in Auxerre, then to his patients in Villeneuve-sur-Yonne and then to all – patients, neighbours, friends and family – in Paris where he had moved in January 1933, the month and year that Adolf Hitler became Chancellor of Germany. This was how he advertised his arrival in Paris in a leaflet he distributed himself on a bicycle. ‘Doctor Marcel PETIOT. Graduate of the Paris Medical Faculty in 1921. Regional councillor for the Yonne. Ex-intern of hospitals and asylums, and hospital and hospice doctor. Clinic director. Doctor in charge of the permanent medical office of the Seine Prefectural Subdivision. ‘This advanced equipment allows DR MARCEL PETIOT to practise general medicine and gynaecology in the best possible conditions, and with all the resources of the best specialist instruments. ‘In 1921, DR MARCEL PETIOT developed a technique allowing the complete suppression of pain in childbirth without general or local anaesthetic and without potentially dangerous surgical intervention. ‘The method permits pain suppression in even the most painful complaints (sciatica, rheumatism, neuralgia, zona, neuritis, ulceration and cancer). ‘He is the AUTHOR of papers on nervous diseases and their modern treatment (particularly in the treatment of recurring complaints and drug/alcohol addiction). vital organs. This includes not only external or internal ganglions, cysts, lipoma, polyps, vegetations, warts, strawberry marks, goitres, deformities, tattoos, scars as well as fibromas and malignant tumours and even deep cancer before its terminal stage. ‘The application to ulcers, varicose veins and haemorrhoids leads to very rapid and definitive results. ‘Analogous principles permit the regulation of the endocrine glands and the treatment of states of general deficiency— arteriosclerosis, anaemia, obesity, change of life, diabetes, cardiac or renal insufficiency, arthritis, nervous breakdowns and senility. hopeless cases, notably: In acute and chronic respiratory conditions, influenza, pneumonia, emphysema, asthma and especially tuberculosis. ‘In infectious diseases of the blood, gastritis, enteritis, appendicitis, nephritis, furunculosis, salpingitis, gonorrhea, syphilis (with addition of sero and autoserotherapy). ‘Thanks to rapid means of transport, he can respond very promptly to calls to his telephone: PIGalle 77-11. ‘He is very willing to work with a patient’s regular doctor when the means at his disposal or his personal methods are required. ‘The fees are quite affordable, even for those with the most modest incomes. The Social Security and Word-Accident formalities are of course accepted. ‘Director of two clinics, with assistants chosen from various sectors of Paris and the suburbs, disposing of ambulances and appropriate portable equipment, he is also doctor in charge of the permanent medical office. ‘The organisation provides day and night urgent medical assistance for his clientele— trades people, hoteliers, landlords, restaurateurs, theatre directors— without obligation. They are thus guaranteed against ALL expenses, indiscretion, trouble and responsibility. ‘Private individuals are at liberty to accept this service when their regular doctor is absent. ‘When necessary, the patient is quickly taken to the private or public hospital of his choice. all consultations and home treatment requested through the family doctor. ‘And, for the special medical care briefly indicated above. ‘DR MARCEL PETIOT would be most grateful if you would make a note of his address: 66 Rue de Caumartin, PARIS-IX, and of his telephone number: PIGalle 77-11’. 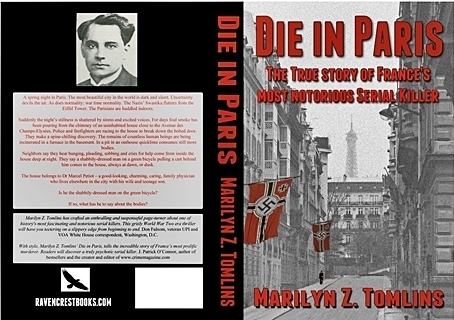 In Paris, Petiot began killing people. First a man and a woman who would have given evidence against him in drug-dealing trials. Next, when World War Two broke out, his killing of Jews and others who wanted to escape from German-occupied Paris and France, began. The French fought bravely in WW1 and France lost 1,397,800 soldiers. I will again quote from Die in Paris. In 1926, France was still struggling to recover from the devastating losses of the Great War. More than 8.5 million Bearded Ones had gone into battle. Of them, 1.4 million had lost their lives, and another 4.4 million had been wounded. More than half a million had suffered the humiliation of being taken prisoner by the Germans. There had also been the loss of 55,000 kilometres of roads, thousands of bridges, hundreds of railway lines, 812,000 buildings and 54,390 square kilometres of farmland. All those roads, bridges, railway lines, buildings and farmland had to be reconstructed. France also had to repay millions of dollars borrowed from the United States, a task so gargantuan that the franc collapsed. Those numbers add up to 9,323,553 or for each day of the war – 6,221 soldiers. Altogether 8,9 million civilians were killed. It was believed to have been the war of all wars, that there would never be another like it. No one had though reckoned that Corporal Adolf Hitler of the German army was not going to accept his country’s defeat. DIE IN PARIS is also available in paperback. 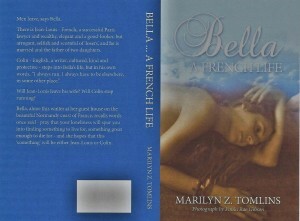 I have had my book professionally translated to French. The manuscript is ready to be presented to French publishers. Le 25 mai 1946, quelques heures avant le lever du soleil, les habitants de la rue de la Santé dans le 14ème arrondissement de Paris, furent réveillés par des claquements de portes et des voix d’hommes. Habitués qu’ils étaient aux bruits matinaux provenant du grand bâtiment triangulaire qui dominait la rue – la prison de la Santé – ils ont encore sauté de leurs lits pour se précipiter à leurs fenêtres. Quelque chose n’allait pas. Ils purent apercevoir des douzaines d’hirondelles – les gardiens de la paix a vélo – brandissant leurs bâtons pour empêcher une foule éxcitee de journalistes, de photographes, de Parisiens et de Parisiennes d’atteindre la porte de la prison. À 6 h précises, des bouts de verre cassé incrustés tout au long du haut de l’enceinte, réfléchissaient les premiers rayons de la journée d’un soleil de fin de printemps, la porte de la prison s’ouvrira et un fourgon Citroën noir en sortit. Les appareils photos ont commencé à clignoter aussitôt et des hurlements « À mort ! » fusèrent. Le véhicule transportait le corps décapité d’un homme vers sa dernière demeure, une tombe anonyme dans un cimetière du sud de la capitale. Louisette avait eu sa revanche. En fin d’après-midi, ce samedi 11 mars 1944, le téléphone sonna sur le bureau de l’officier de service du commissariat du 16ème arrondissement de Paris. À ce jour, la rue Le Sueur située dans cet arrondissement, le plus élégant du capital, n’avait fait parler d’elle qu’une seule fois. C’était en avril 1912. Ce mois-là, la chanteuse et actrice française, Léontine Pauline Aubart, âgée de 25 ans, qui avait embarqué à Cherbourg pour New York accompagnée de son amant, Benjamin Guggenheim, âgé de 47 ans, était revenue chez elle, rue Le Sueur, seule et en deuil. Le paquebot à bord duquel son Ben et elle avaient quitté Cherbourg pour traverser l’Atlantique s’appelait RMS Titanic. M. Guggenheim avait sombré avec le paquebot. À nouveau, la rue Le Sueur allait faire la une de la presse. À l’autre bout du fil, un certain Jacques Marçais, employé de bureau. Marçais et son épouse, Andrée, habitaient un appartement situé au no 22, rue Le Sueur. Il appelait pour signaler que, depuis six jours, une fumée pestilentielle s’échappait de la cheminée d’un hôtel particulier de l’autre côté de la rue. L’officier de service ne comprit pas en quoi la fumée d’une cheminée puisse nécessiter une enquête. En 1939, la guerre avait éclaté, et depuis juin 1940, quand la France avait capitulé devant l’ennemi – l’Allemagne nazie – et les vainqueurs ont occupé le nord de la France, incluant Paris, les Parisiens subissaient de nombreux rationnements et des coupures de courants. Ce soir-là, bien qu’on fût au printemps, il faisait encore froid, et les Parisiens avaient dû allumer des feux pour se chauffer. C’est pourquoi, dans tous les foyers, ils se firent du feu avec tous ce qu’ils pouvaient trouver – des papiers, des cartons, des livres et des journaux, même des vieux meubles et des vieux vêtements – et de la fumée nauséabonde s’échappait de chaque cheminée. Mais M. Marçais s’expliqua quand même. C’était la cheminée d’un hôtel particulier inhabité, et ce qui n’était pas du tout normal. L’officier de service promit d’y envoyer un policier dès que possible. The horrific story of WW2 French serial killer Dr Marcel Petiot, France's most prolific killer. 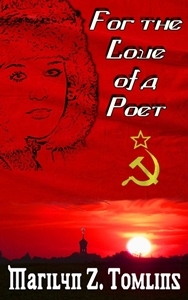 - For the Love of a Poet - a novel set in the Soviet Union. Do you like good food? 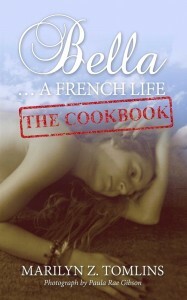 Well, why not try some of Bella's recipes? This novel can be bought from all Amazon sites. It is available as a paperback or an e-book. If you wish not to miss one of my blogs, do subscribe.